Plant More And Earn More Exp!! Go to a place with weevil cam e.g. Kips Scrapyard make sure the cam is not yet loaded. When you get there and the cam starts to load quickly go to your nest and click your buddy message box and wait for 2-5 minutes. Then exit your message box and you will have the cam in your nest! 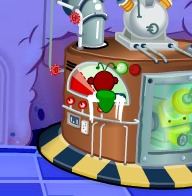 You have to be tycoon inorder to complete this glitch. Wear your tycoon hat, any hat will do. 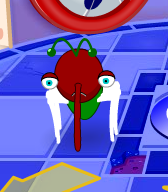 Then press the arrow or door to go to another room/place before you get to the entrance take of your hat and when you come out the other end your antennae will be twisted or out of shape! Go to Flem Manor and click the library door from where you are standing now come out of the library and clickt right under the right statue you will now be out of the railings leaving you larger than others and able to move etc where others cant!!! To make a empty bubble you press and hold CTRL on your keyboard whilst pressing enter twice which should create a empty speech bubble! 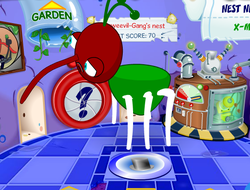 Click any game on bin and crouch, before it loads quickly go to your nest and you should automatically walk on to your nests wall! Go To Tums Diner purchase a drink and quickly go to inks before buying the drink. now once at inks buy the drink and you will be holding the drink at inks! You will need the double bounce ability you recieved at passing level 20. Jump once on the peel and second on the floor where you will become invisible. No-one will be able to see you! You have to be minimum level 20 for this glitch. The higher level the better! go to your nest and click the portal area before you get there quickly use your double bounce and click once on your nest floor and do not use your last bounce. Once you get to the random location click anywhere to use your last bounce and watch yourself go out of bounds! Got Any Glitches We Havent Mentioned?Send them in and we might put it on our site along with your name!